5 Best Logless VPNs in 2018 – Are No Log VPNs Private? Mandee Rose	● Posted on February 27, 2018 February 27, 2018 ● Leave a comment on 5 Best Logless VPNs in 2018 – Are No Log VPNs Private? VPNs provide privacy on the Internet. Virtual Private Network technology conceals your real location and establishes a secure connection between you and the VPN network. If you are researching VPNs you will have noticed that VPN services all make important statements about logs on their websites. What are logs? Why do VPN logs matter? This review will explain why VPN record keeping is a very important aspect of a VPN service. To help you in making a decision we have pinpointed the 5 best no logs VPNs! A VPN is like a communications version of a circuit breaker. The internet is made up of lots of different segments that are linked together by routers. Snoopers, marketing companies, hackers, and government spies, can trace your internet activities from your computer to the host of each of the web services that you access. These tracers don’t need to follow your internet message from its source to its destination. They just need to get the connection logs from one end of the connection or the other. One example of this strategy occurred in 2006 when LokiTorrent was forced to hand over a list of all of the IP addresses that accessed its site. Copyright holders can easily trace the owners of those internet addresses. If you access a risky site through a VPN, that site’s connection records will show the VPN’s address and not yours. At the other end of the telescope, law enforcement agencies and copyright lawyers can force internet service providers to hand over the records of the connections of their users. In many countries, ISPs are forced by law to keep records of their users’ activities – the length of time that these records must be retained varies from country to country. If all of your internet traffic is protected with a VPN, those ISP records will just show a record of the traffic that went back and forth to a VPN server and no one else. So, VPNs break the link between you and the websites that you visit and no one can join those two ends together … no one, except for the VPN company. If the VPN company retains logs, your activities through their servers will become visible. This is why the issue of VPN logs is so important. You can read more about VPN logs later on in this review. However, first, read through summaries about each of our five recommended logless VPNs. 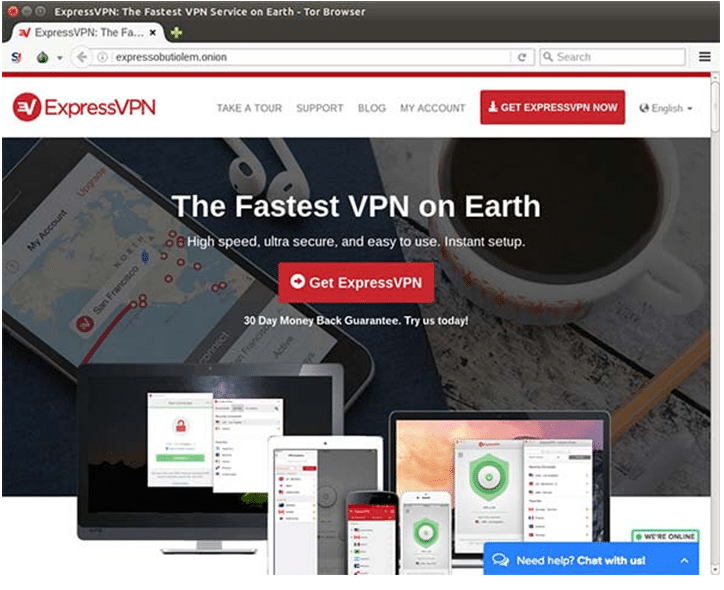 Other aspects of ExpressVPN that make this service a good choice is that it’s app installs itself and is very easy to use. The Customer Support team of ExpressVPN is very knowledgeable and always available online via live chat. The VPN is excellent at getting around regional access restrictions at video streaming sites and it can even speed up slow internet services. VPNArea has its HQ in Switzerland, which is good news for torrenters. This is because the downloading of copyrighted material without permission is allowed in Switzerland as long as it is for personal viewing. The company even runs servers that are optimized for the BitTorrent protocol. The server network of VPNArea has a presence in 70 countries. The customer support team is online almost around the clock and they can help you with complicated tasks, such as installing the VPN on a router. You get an allowance of six concurrent connections and the company is happy to let you share an account with a friend. IPVanish makes it very clear on its website that it keeps no logs. It has to be unequivocal on this point because it is based in the United States, which is possibly one of the most vulnerable locations for VPN services. IPVanish advertises itself as a service for P2P file sharers, so it needs to make sure that its archive disks are pristine because that statement alone could get the owners and staff of the company arrested on conspiracy to commit copyright infringement. So, considering they have their own on the line, you should be pretty safe from prosecution. Just about every VPN you will discover claims to be the fastest service on the planet. They can’t all be right. In fact, our research shows that IPVanish really is the fastest VPN in the world. This is great news for downloading and video streaming. IPVanish can get you into overseas video streaming services, including Netflix USA. NordVPN hits a sweet spot of top quality service and low prices. Normally you get what you pay for, but with NordVPN you get quite a lot more. The company has a special two-year subscription offer that works out incredibly cheap when calculated on a monthly basis. They also give you an allowance of six concurrent connections — double the allowance given by ExpressVPN. You get access to servers in 59 countries, which doesn’t include any servers in Panama, where the company is based. NordVPN is very knowledgeable about the legal landscape in which it operates and it allows P2P activity on most of its servers. NordVPN keeps no logs and offers extra protection to its customers, which includes double-hop options that sends all of your traffic through two VPN servers. You can also connect to the Tor network through NordVPN. VyprVPN owns and runs all of its servers, so there is no danger of third-party service providers in overseas locations being pressured by their governments into giving away your data. VyprVPN retains connection logs for 30 days, which creates a bit of a risk. You get an allowance of five simultaneous connections with this service and the app works great on computers and mobile devices alike. Like VPNArea, this provider has its headquarters in Switzerland, so this is ought to be a good choice for torrenting. Sadly, however, VyprVPN specifically asks subscribers not to use its VPN to download illegal material via P2P. For this reason alone, we don’t recommend torrenting with VyprVPN. The first issue you need to examine with a VPN is where it is based and where it holds its records. This information needs to be taken into consideration together with your own location and your likely activities. Who is likely to pursue you? Where are they and why would they be interested in your internet activities? You are only likely to be prosecuted for illegal activities and the most widespread illegal activity committed by VPN users is the downloading of copyrighted material without permission or payment. If you are an avid torrenter then you need to pay attention to who owns the copyright of the file you downloaded, and who owns the distribution rights in the country where you live. Do you get your privacy protection from a VPN? Where is that VPN based? Does that VPN keep logs on its servers, or at its HQ? For example, you live in the UK and downloaded The Sound of Music. The rights to that film are owned by an American company. The BBC has the exclusive right to show The Sound of Music in the UK. If you use NordVPN, which is based in Panama, is the BBC really going to hire a team of expert copyright lawyers, fly them out to Panama, hire a local legal team and a bunch of translators just to squeeze a £2 viewing fee out of you? Probably not. However, if you connected to a VPN based in the UK and the company keeps connection logs in that location, then the cost to the BBC of getting that £2 out of you comes crashing down. Luckily, NordVPN doesn’t keep logs. So they wouldn’t be able to help the BBC get money out you under any circumstances. You will notice that many VPN services will flag some of their servers as suitable for P2P downloads and others where the activity is banned. This is because those companies understand the legal landscape in each country and they know where they can protect you from prosecution and where they can’t. What is a Logless VPN? A VPN creates a gap in the trail between you and the internet services that you access. VPN logs fill in that gap. A piece of software on your computer, which is called a “client” captures all of your outgoing internet requests, encrypts them and sends them to the server that you selected. The VPN server receives that data, un-encrypts it, and then sends the request on to the destination address that your computer originally put on it. So, no one looking at your ISP’s logs will see that you have requested a page from the website of The Pirate Bay. But what about the response that contains the code for that page? The good news is that before a VPN server sends your request through to its destination, it removes your computer’s address and replaces it with the VPN server’s address. All data comes back to you via the VPN and the destination website (PirateBay in this example) never knows who or where you are: digital privacy. It is because the VPN acts as a middle man that it is so important that it doesn’t log these requests. Doing so would create a paper trail about everything you had done while using the VPN: a terrible flaw that could later be used to find out everything about you. Finally, when the VPN receives the response from The Pirate Bay, the VPN server encrypts this data again before forwarding it onto you. This encryption stops your ISP knowing the contents of the data that is being sent to you from the VPN. This means your ISP cannot possibly record that you accessed a page from The Pirate Bay. The VPN server is hosting a number of customers while you are connected and waiting for a page from The Pirate Bay to appear in your browser. That server has to keep track of which customer made which request so that it knows where to forward on the response to that request when it comes in. This means that the server has to be aware of which customer’s IP address a request came from. This cross-reference is managed by the use of a network address translation table. What you need from a VPN is that your entry in its NAT table gets deleted as soon as you log out. If a VPN archives those NAT records, it creates a connection log. The barest log that a VPN could keep is a connection log which records the time you logged into the service, the time you logged out, your real IP address and the IP address or IP address and port number combination that was allocated to you for that period. Sadly, even these minimal logs could be used to mount a time correlation attack on you, that is why a logless VPN is always best. Why Are VPN Logs bad? A VPN company may be founded on the principles of identity protection, but no matter how stridently anti-state the people that work in that company are, they would be unlikely to risk being arrested and put in jail just to protect your right to download something for free. When a copyright lawyer or a law enforcement agency gets a court order for logs, the VPN company either hands over its records or its people go to jail. Not only does resistance get their employees convicted but the police have the right to force entry to the server room and seize all equipment. In many countries in the world, the police will seize equipment first and then check later on whether they had the right to do so. So, the good intentions of the VPN company have nothing to do with the issue. The only protection you have against your VPN activities being found out is if the VPN strictly keeps no logs for them to seize. All of the VPNs in this guide have been selected because they have strong no logs policies. In addition, they are trusted providers that have a proven track record of protecting their subscriber’s data. What’s more, these VPNs are well known for having plenty of servers around the world that provide lightning fast connections: perfect for unblocking HD streams. Other VPNs could blow your cover because of the logs that they keep. That is why we strongly recommend that you stick to one of our recommended logless VPNs.